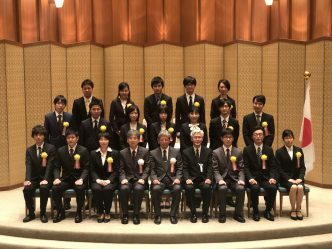 Koki got The University of Tokyo President's Award! 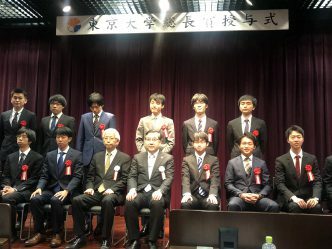 Mr. Muraoka got a JSPS IKUSHI prize! Mr. Muraoka got a presentation award! 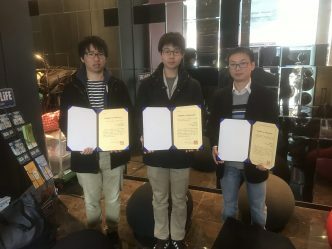 Mr. Ce, Mr. Chen, and Mr. Hoshikawa got poster presentation awards! 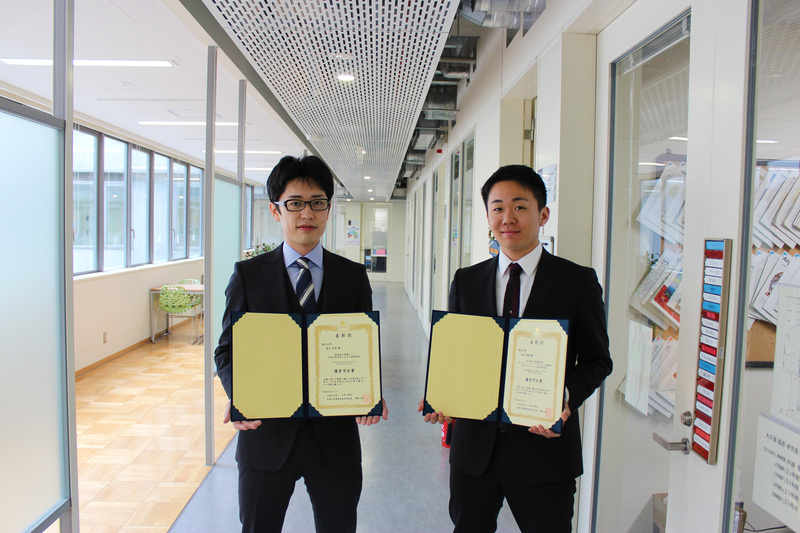 Mr. Shimizu and Mr. Narita got presentation awards! 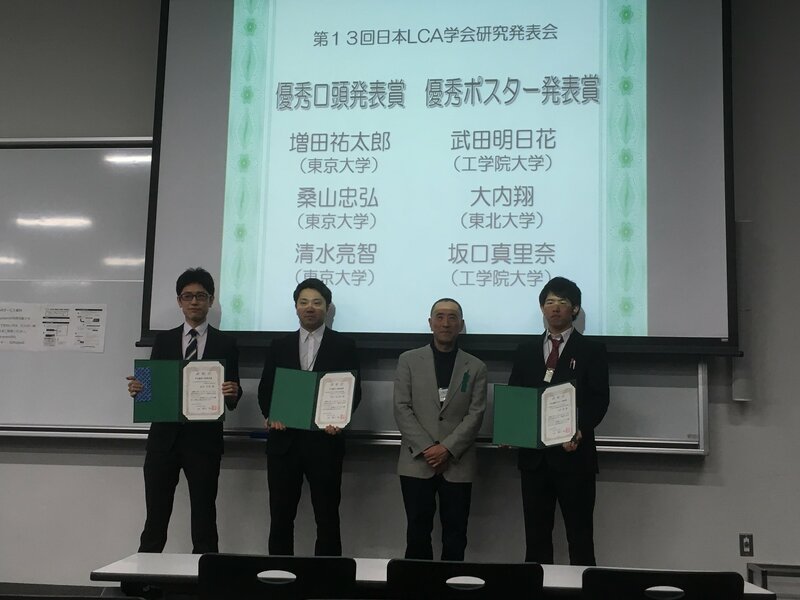 Mr. Shimizu got a presentation award! 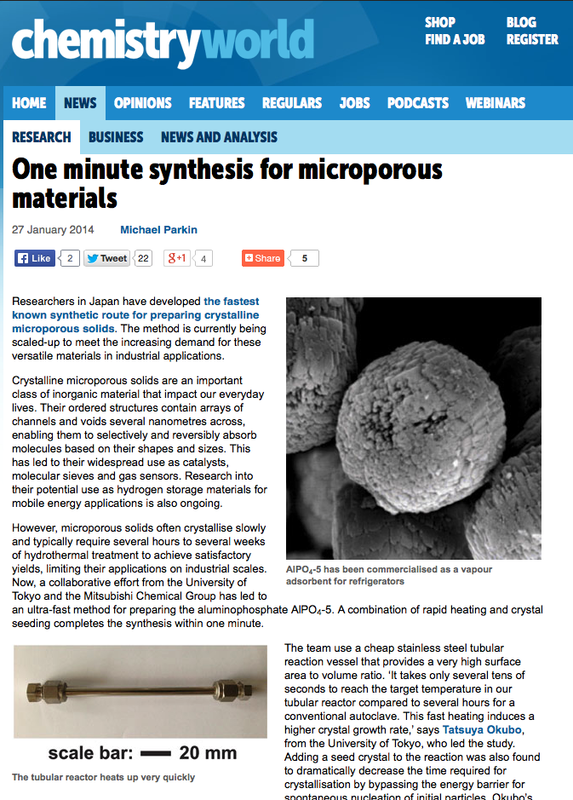 The work by Mr. Muraoka, Profs. 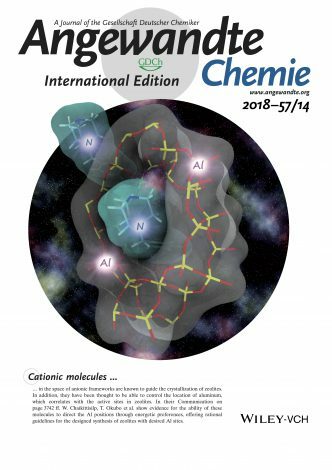 Chaikittisilp and Okubo, and collaborators in Institute of Industrial Science, the University of Tokyo was selected as the inside cover of Angewandte Chemie! 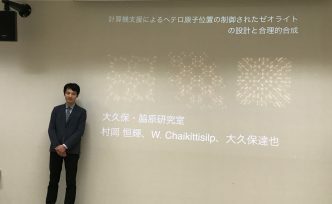 The work by Mr. Muraoka, Profs. 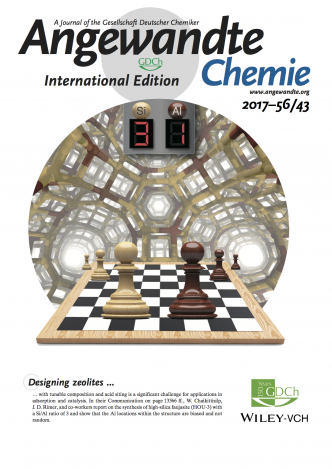 Chaikittisilp and Okubo, and collaborators in Univ Houston and Waseda Univ was selected as the back cover of Angewandte Chemie! 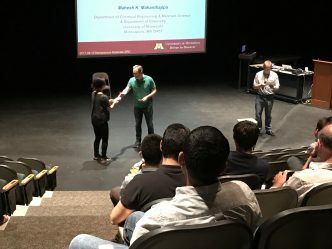 Ms. Koike got poster award! 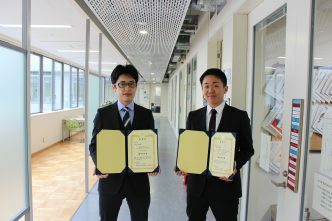 Ms. Zhu and Mr. Horikawa got presentation awards! 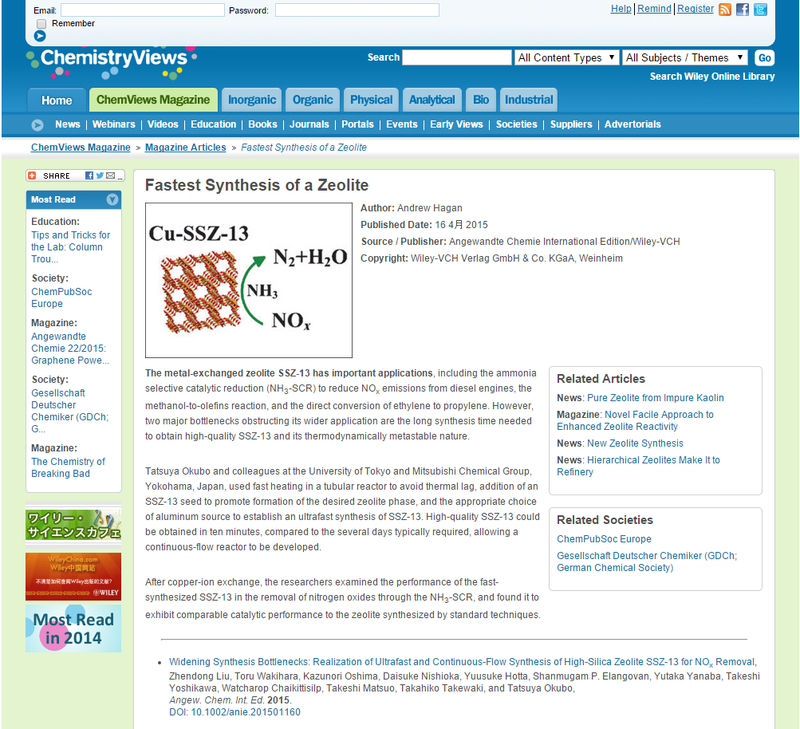 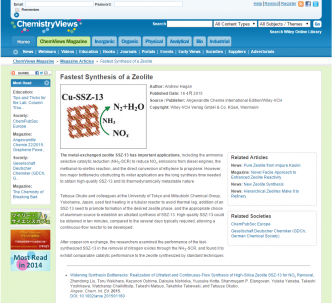 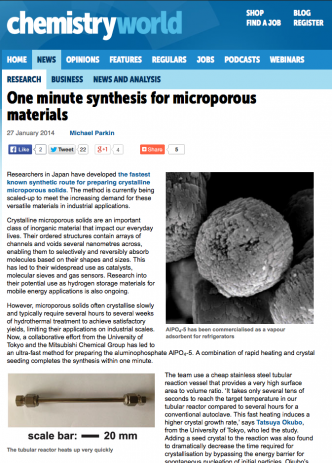 "Synthesis of ZSM-5 zeolite on the order of seconds" appeared in press releases! 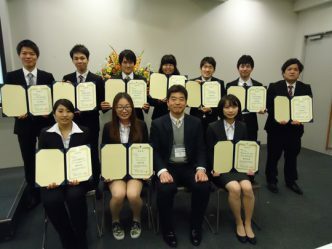 Mr. Tsukushi got presentation award!